Whether you are an avid athlete or have never run a mile in your life, Team Butterfly offers an incredible and inspiring experience for an important cause. 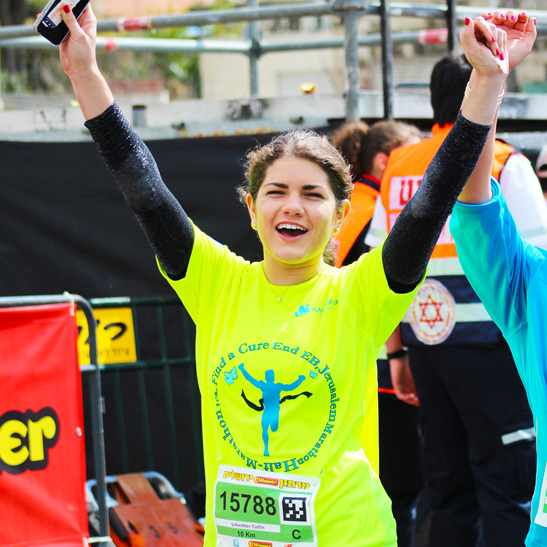 Join Team Butterfly in the 2017 Jerusalem Marathon, Half-Marathon, & 10k and be a part of the cure to EB! 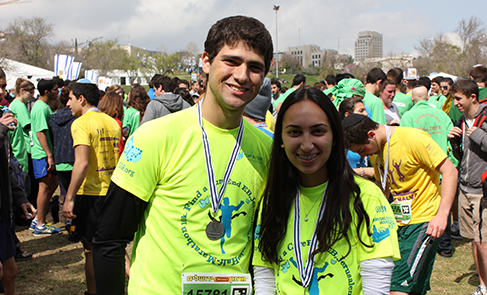 Raise money to fund research for a cure to “The Worst Disease You’ve Never Heard Of” and run with purpose through the beautiful streets of Jerusalem alongside fellow Team Butterfly runners. Join or donate now to help make an EB-free world. To create a pain free world where no child, or family, will suffer from Epidermolysis Bullosa (EB), a devastating and debilitating skin disease. By raising awareness, supporting afflicted families, and most importantly funding medical research for a cure, we will reach our ultimate goal of an Epidermolysis Bullosa free world. The skin on his feet is fragile as a butterfly’s wings. That, however, will not stop 18-year-old David Beiss from running the 10-kilometer route of the March 16 Jerusalem Marathon. Just meeting someone with EB and hearing about how he lives his day to day life was the push to make me run,” said Celine Banafsheha. Team Butterfly, which is powered by Debra of America, aims to raise awareness and fund medical research for a cure to Epidermolysis Bullosa (EB). Proceeds from all Team Butterfly events and programs go directly to Debra of America, a registered 501(c)(3) tax exempt organization, which provides all-inclusive support to the EB Community, through funding research for a cure and by providing free programs and services for those who suffer from EB. Pictures are courtesy of Debra of America.